Home » General Real Estate News » Heritage East Beauty Just Sold! Heritage East Beauty Just Sold! Heritage East is One of Albuquerque’s Top Family Neighborhoods – Close to Large Area Parks, Top Schools, Restaurants, and Has a Warm Family Feel! We just SOLD this Beautifully Updated One-Owner Home in Carriage Estates of Heritage East! This Home is Immaculately Maintained Inside & Out! Handsome Oak Cabinetry, Stunning Wood & Tile Floors Throughout! 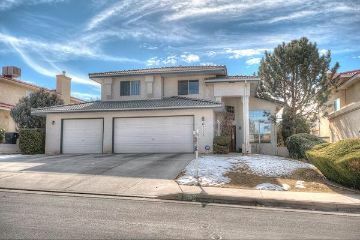 It Features a Gorgeous Backyard & Extended Covered Patio! If you would like more information about the Heritage East area, are interested in selling your property, or would like to see a home listed in the area, call Nancy at 505-681-4104!